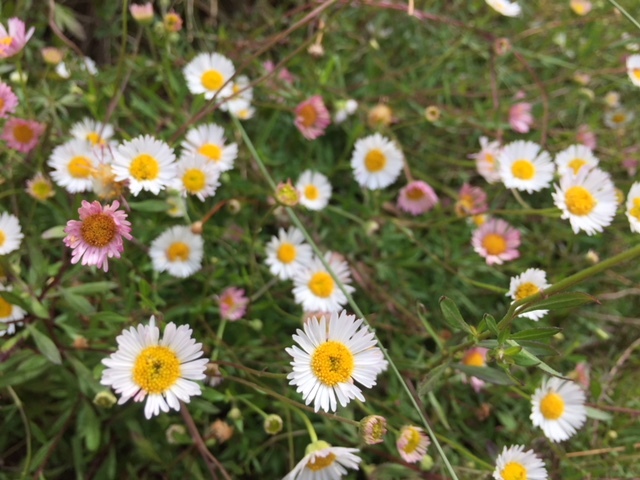 I love the fluffiness of Santa Barbara Daisy - Erigeron karvinskianus. It's a fabulous ground cover. I thought it was a California native. But research says that it is native to Mexico and Central America. It likes full sun and tolerates part shade. It's drought tolerant but can take more water. The flowers start pink and then turn white. Or maybe the opposite. I'm not sure. But you get that multicolored Daisy thing happening. It does reseed and spread. That might be a problem for some. But it is easy to yank if it comes up in the wrong place and smells like carrots when you do. 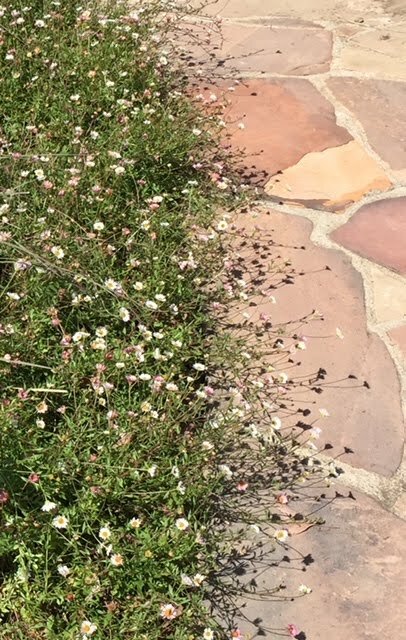 These photos were taken at one of my jobs in Glendale where I planted Santa Barbara Daisies about 3 years ago. It's filled in nicely and softens the edges of the flagstone. Do you grow it?